Take an affordable Eco-Chic foldable shopper with you wherever you go. Manufactured from waterproof rip-stop nylon they are very strong and are able to hold up to 5 Kg. When you are done, just fold it up and pop it back into it's own mini shopping bag pouch. 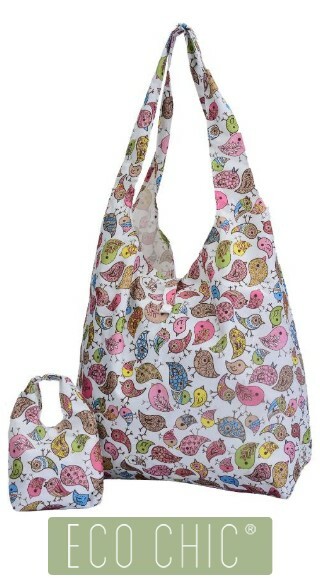 Avoid the carrier bag charge, just take an ECO-CHIC foldable shopper with you wherever you go. When ..